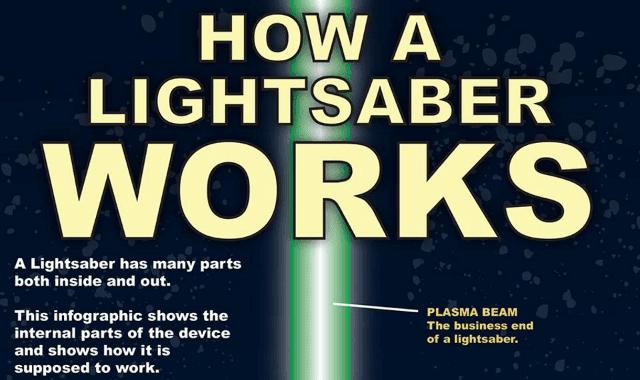 How a Lightsaber Works #Infographic ~ Visualistan '+g+"
A lightsaber has many parts both inside and outside. This infographic shows the internal parts of the device and shows how it is supposed to work. Have a look!